— Class I student mauled to death by stray dogs at Balisutura village under Jashipur Police limits in Mayurbhanj district. — A famer commits suicide over loan burden in Arilo village under Angola panchayat in Jajpur. — Poor visibility due to dense fog across the State affected vehicular movement in Odisha. — Khordha: Due to dense fog Truck hits another truck near Janla on NH-16, driver killed. — Demon king Kansa reaches takes a holy dip in Puri sea and visits Srimandir to seek forgiveness from Lord Jagannath for the sins he committed during Dhanu Jatra in Bargarh. — Excise Department seize 23 gram brown sugar worth Rs 3 lakh from Jaleswar Railway Station in Balasore; 1 held. — Additional District & Sessions Court sentences ten persons to life imprisonment in murder case in Cuttack. — Farmers lock up the officials of Basalai Cooperative society of Barkote block in Deogarh dist over Paddy procurement irregularities. — Dreaded criminal Sanjay Biswal alias Babu injured during encounter in Kendrapara. — Maharashtra: Naxals in Gadchiroli’s Bhamragarh kill three people on suspicion of them being police informers. — PM Modi to inaugurate the 15th Pravasi Bharatiya Divas. 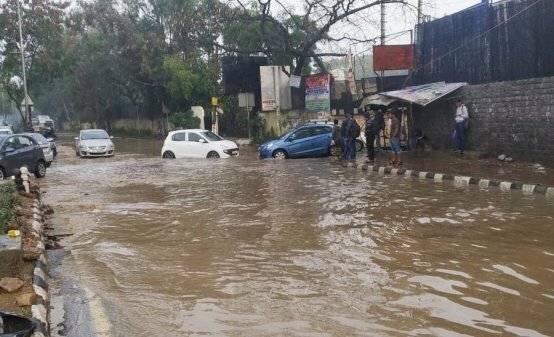 — Streets waterlogging, traffic congestion in parts of Delhi following heavy rainfall this morning. — Himachal Pradesh: 26 people injured after a tourist bus skidded off the road near Swarghat area in Bilaspur district. — ICC announces men’s Test and ODI Teams of the Year; Virat Kohli has been made the captain of both the teams.